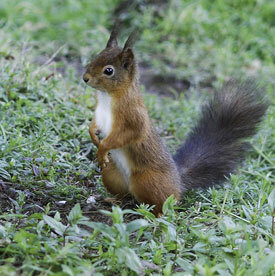 The Red Squirrel used to exist in very large numbers throughout the UK but is now an endangered species. 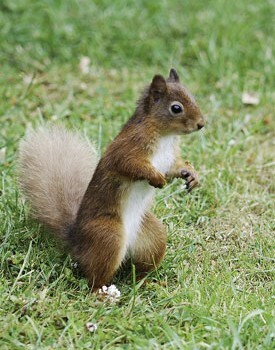 The main threat is the grey squirrel, a much larger species that has spread across the UK at an increasingly alarming rate. Competing for food and habitat the grey squirrel crucially carries the Squirrel Pox Virus, which has little effect on the grey but is usually fatal when passed to the red. 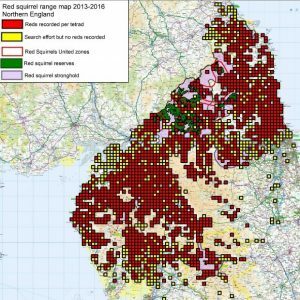 The red still inhabits areas of Northern England and conservation efforts are ongoing by organisations such as Red Squirrels Northern England (RSNE)>> and Government bodies. 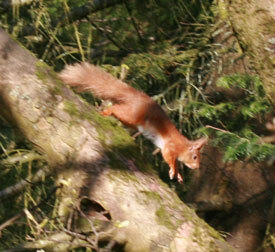 However, resources are limited and additional action by volunteers to protect red squirrels is crucial.